Normally the Kent School campus bustles with students of high school age but for two and a half days this summer the students were adults spending "vacation" days studying "What Comes Next" at the KentPresents ideas forum wrangling with subjects from cybersecurity to cancer to criminal justice. Conducting the lectures, panels, discussions, debates the "professors" were distinguished journalists and consultants, politicians and pundits, and winners of Nobel and Pulitzer prizes. Conceived and carried out by Ben and Donna Rosen as a charitable enterprise to raise money for the local community and to enhance Northwest Connecticut's reputation as an intellectual and cultural destination, the ideas festival drew participants from Connecticut, New Jersey, Quebec, New York, New Orleans, and afar who mingled in classrooms, lecture halls, and social events networking and interacting. Simultaneous sessions in three different venues required participants to make difficult choices -- which topics to attend? what to miss? Here is a sampling of the variety and array of subjects that were explored. 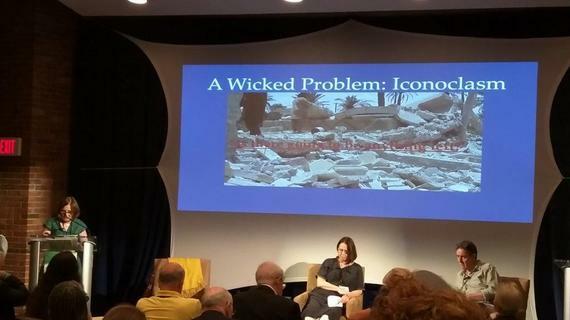 Writer Judith Dobrzynski led the panel on the challenges and dilemmas of "Preserving Our Cultural Heritage" with digital conservation technology expert Adam Lowe and Bonnie Burnham, President of the World Monuments Fund. The complicated construction projects and display challenges of contemporary museums and the efforts to fund them were topics at "21st Century Art Museum: Better or Worse?" 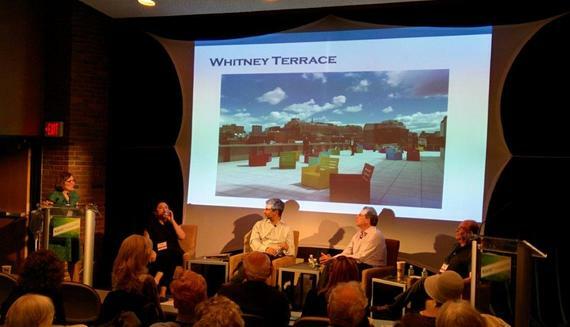 moderated by art critic Judith Dobrzynski, New Orleans Museum of Art Director Susan Taylor , LACMA Director Michael Govan, Richard Olcott of Ennead Architects, and New York Magazine art critic and columnist Jerry Saltz. See the entire article, with pictures, here.